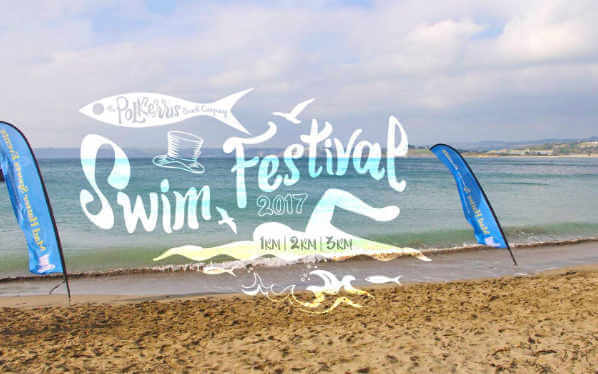 The Polkerris Swim Festival is a mass-participation open water sea swimming event and a great chance to challenge yourself in a particular distance or if you're feeling up to it you can swim two distances! The event offers a choice of either a 1km, 2km, or 3km swim. These distances take place in the sheltered harbour area in front of the beach, ideal for spectating. The course will consist of 1km laps and will include a very short Australian exit near the water's edge. The 1km and 2km swims will start at the same time with the 3km taking place an hour or so after these have finished. So there's a chance to swim twice and receive some well earned kudos! Each competitor will receive a coloured swim hat and a special commemorative t-shirt. If you enter 2 swims you will receive a £10 discount on the total entry fee. Male and female prizes for overall 1st, 2nd, 3rd and AG winners for all swim distances.